On February 22, 2010, archaeologist Dr. Eilat Mazar, working under the aegis of Hebrew University, announced the discovery of a massive stone wall that she attributes to King Solomon. The wall, approximately 70 meters (220 feet) long and six meters (20 feet) high, is located on the eastern side of an area called the Ophel, a Biblical term meaning “tower” which came to be associated with an area of Jerusalem between the southern wall of the Temple Mount and the City of David (Ir David). 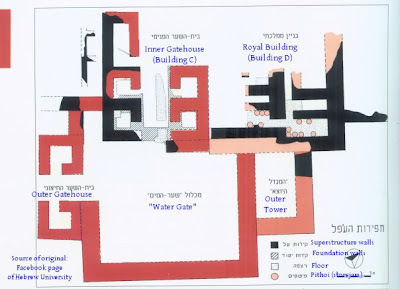 According to the official press release from Hebrew University, Mazar asserts that the 10th c. BCE structure she has uncovered is part of "an inner gatehouse for access into the royal quarter of the city,a royal structure adjacent to the gatehouse, and a corner tower that overlooks a substantial section of the adjacent Kidron valley." The implication of the claim is that a strong central government having the resources to build such a substantial fortification, as described in Hebrew Scriptures, existed in Jerusalem during the era of King Solomon. Mazar cites, as an example, the Books of Kings (I Kings 3:1) which says Solomon "finished building his house, and the house of Hashem, and the wall of Jerusalem all around." But her interpretations of the wall’s function and age immediately renewed longstanding disputes with some leading members of the archaeological world who claim she is subverting science in the service of an ideological agenda that seeks to substantiate the Biblical narrative for nationalist purposes. "Dr. Eilat Mazar is at it again– running to the press before properly submitting her finds to serious archaeological scrutiny,” writes Neal Asher Silberman, an historian and archaeologist with the University of Massachusetts Amherst. 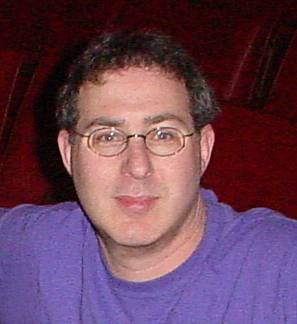 Since the announcement, Silberman and others of Mazar's peers have been critical in their reviews. Israel Finkelstein, a Professor of Archaeology at Tel Aviv University is no stranger to controversy himself. His book, "The Bible Unearthed: Archaeology's New Vision of Ancient Israel and the Origin of Its Sacred Texts," co-authored with Silberman, which all but reduces Hebrew Scriptures to ancient ideological propaganda, set off a firestorm of its own when it was released in 2002. "The biblical story of David and Solomon was put into writing not before the late 8th century BCE; much of it was written in the late 7th century," Finkelstein tells The Report. "The texts are layered, and depict the realities and ideology of the time of the authors. As such, even if they have an ancient memory here and there, they cannot be read as a guide to 10th century BCE Jerusalem." In response to her claims, an article in Tel Aviv journal by Archaeologists Finkelstein, Lily Singer-Avitz, Ze'ev Herzog, and David Ussishkin, was particularly brutal. "Beyond archaeology, one wonders about the interpretation of the finds," they wrote. "The biblical text dominates this field operation, not archaeology. Had it not been for Mazar’s literal reading of the biblical text, she never would have dated the remains to the 10th century BCE with such confidence. This is an excellent example of the weakness of the traditional, highly literal, biblical archaeology — a discipline that dominated research until the 1960s, that was weakened and almost disappeared from the scene in the later years of the 20th century, and that reemerged with all its attributes in the City of David in 2005." Some have even accused Mazar and other archaeologists of allowing themselves to be funded by religiously or ideologically conservative groups. For her part, Mazar doesn’t deny this possibility but claims to have little involvement in the solicitation of private donations which goes through Hebrew University. While recent work has been conducted with private funding, provided by Jewish-American philanthropists Daniel Mintz and Meredith Berkman, the Ophel dig is actually a project of Hebrew University, in cooperation with the Israel Antiquities Authority and the Israel Nature and Parks Authority, although volunteers at the dig did include students at Herbert W. Armstrong College, an Evangelical Christian school in the US. Within the world of Biblical Archaeology, these are old debates. As the label suggests, Biblical archaeologists attempt to shed light on people and events of the Near East which are depicted in Biblical texts. Differences in opinion as to the accuracy of these texts have generated opposing schools of thought. ‘Minimalists’ apply strict scientific methodology, not allowing themselves to be influenced by the religious record. They find little evidence of the Kingdoms of David and Solomon and believe 10th C BCE Jerusalem was nothing but a small, hilltop village. ‘Maximalists,’ on the other hand, tend to approach their work from a religious perspective, adopting an acceptance of Biblical "truth." They regard David and Solomon as historical figures and their empires as fact. Most Biblical archaeologists put themselves in the middle of the dispute. Jerusalem has been a significant attraction for Biblical archaeologists since the mid-19th century. Following a brief interlude of Egyptian rule (1831-1839) under Muhammed Ali, the Ottomans reasserted control over Palestine and the area underwent a welcome period of reform at the insistence of Western nations. By 1860, a number of European consulates had been established, and the country was being visited by missionaries, Biblical scholars and adventurers. A number of other archaeologists expanded upon their work over the next few decades, but it wasn’t until Kathleen Kenyon in the early 1960’s that more modern methodology was introduced. 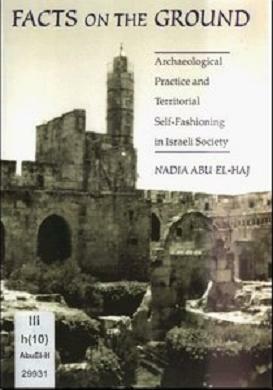 After the reunification of the city in 1967, Israeli archaeologists assumed authority over Jerusalem excavations. A number of digs were initiated in and around the Old City, including Benjamin Mazar’s work at the southwest corner of the Temple Mount. 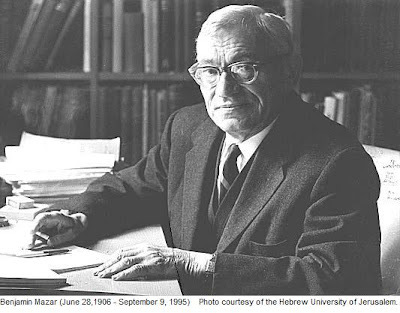 Benjamin Mazar (1906-1995) was a Professor of Biblical History and Archaeology of Palestine at Hebrew University from 1951 to 1977, and served as president of the university between 1953 and 1961. He was also Eilat Mazar’s grandfather. Looking the part in Israeli canvas hiking boots, Eilat Mazar speaks with obvious affection when she describes her grandfather. As a young girl, Eilat accompanied Benjamin Mazar, whom she remembers as "charismatic and hard-working," to digs and began to take an interest in ancient history. After the Six-Day War, Israeli archaeologists had access to the walls of the Temple Mount for the first time, and Eilat, still a teenager, began to participate in her grandfather’s excavations in the Ophel area. After army service, she was eager to attend university and follow in her grandfather’s footsteps. In 1986 and 1987, she joined him on an excavation, continuing work which he had begun in 1970. It was at this time that many of the basic discoveries first came to light. The New Encyclopedia of Archaeological Excavations in the Holy Land (1993) describes what they found: "The quality of the construction is impressive, featuring thick walls founded on bedrock, sometimes preserved to a height of some 4m. The first stages of these buildings date to the ninth century BCE, at the earliest... The various building units combined to form a dense complex whose outer walls created a continuous line of fortifications along the eastern side of the Ophel, overlooking the Kidron Valley. The gate may be associated with the large tower." The most recent announcement, then, seems to be a reiteration of previous declarations, with a few new pieces of supporting evidence revealed; in particular several LMLK pottery handles which have never been published before. LMLK (In Hebrew - Lamed-Mem-Lamed-Kaf - L'melech , meaning ‘to the King’) refers to royal seal impressions typically found on pottery fragments in and around Jerusalem. However, Neal Asher Silberman suggests even these new finds don't mean much. "This is not careful, systematic archaeology, yielding a more sophisticated understanding of Iron Age Jerusalem," he writes on his blog. "It is secular shrine building and idolatrous historical idol worship– consciously or unwittingly serving contemporary religious and political agendas and helping to sabotage any hope of future compromise in Jerusalem." It is precisely because of the weighty relationship between history, identity formation and politics that these ostensibly esoteric debates seem to take on a life of their own beyond scientific circles. Regardless of intent, Mazar’s findings have been employed to substantiate a Jewish narrative that asserts a 3,000 year connection to Jerusalem. Jewish newspapers and magazines have emphasized nationalistic aspects of the story. Jonathan Tobin, Executive Editor of Commentary Magazine, for example, wrote that, "these new discoveries, along with those of a previous dig in a different area of the city of David, contradict contrary Palestinian claims that the Jews have no claim to the area. They also debunk the assertions of some Israeli archaeologists who have sought to portray the kingdom of David and Solomon as an insignificant tribal group and not the regional empire that the Bible speaks about." Interestingly, the story immediately initiated a flurry of activity in the Christian Zionist world. Evangelical blogs and websites quickly seized on the Solomon story as "evidence that Bible prophecy will be fulfilled." It's worth noting that the February 2010 announcement came just days after the Israeli government's own declaration of a "Heritage Plan" to invest millions of shekels in upgrading historical and archaeological sites. Not surprisingly, condemnation of the project was swift. Hamas big gun, Ismail Haniyeh, for example, denounced the Heritage plan as a scheme, "to erase our identity, alter our Islamic monuments and steal our history." Palestinian writers and their supporters have been equally critical of allegedly religiously-motivated archaeology in Jerusalem and throughout the country. "Israel has used archaeology as an effective weapon not only to appropriate the land, but also to create a historical justification for the appropriation," writes Palestinian archaeologist Ghada Ziadeh, in an essay entitled "An Archaeology of Palestine: Mourning a Dream." (Selective Remembrances: Archaeology in the Construction, Commemoration, and Consecration of National Pasts, chapter 11, 2008). That's not say there's no meeting ground between the narratives. Palestinian archaeologists, because of their condemnation of Israel's annexation of east Jerusalem, will not request excavation licenses from Israel and will therefore not excavate in Jerusalem, neither alone nor in collaboration with their Israeli peers. But, at least one Israeli archaeologist, who declined to be identified, told the Report, "I have many contacts with Palestinian archaeologists. We talk about things, and there are beginnings of educational work in Palestinian communities in Jerusalem." But Aren Maeir, a professor of Archaeology at Bar Ilan University, suggests it's still too early for true collaboration. "I know there have been a few attempts for Israeli/Palestinian cooperation in archaeology, but most have not gotten far," he tells the Report. "In fact, nowadays, based on my experience and that of several colleagues, Palestinian researchers are not interested in research collaborations with Israelis, since these are defined as ‘collaborating with the enemy’ in Palestinian eyes." Maeir also acknowledges, "Politics get involved in just about every dig in Jerusalem, although there are those that get it more, particularly in the City of David, whether because they are in more politically contentious zones, or, because some of the excavators come out with rather bombastic statements." Beyond the ideological criticism, Eilat Mazar actually spends much of her time dealing with Israeli bureaucracy. "Every day, I deal with paperwork. There are so many levels of government, the Antiquities Authority, various permissions which must be obtained. Everyone has something to say. I know that the politics and bureaucracy have driven some excellent scholars out of Jerusalem." But despite the challenges and ongoing battles, Eilat Mazar continues to be fascinated by the work, her youthful enthusiasm belying the fact that she's now a grandmother herself. "Archaeology is really about people, how they lived, their needs and abilities, and their visions." As for her critics, she mischievously suggests there's still more to come. "Archaeology never stops surprising. And I have I secret...actually a few." Posted by Morey Altman at 11/17/2011 09:29:00 p.m.